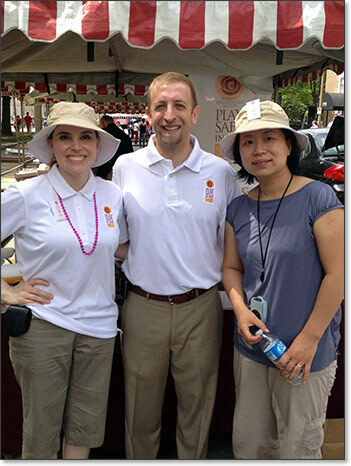 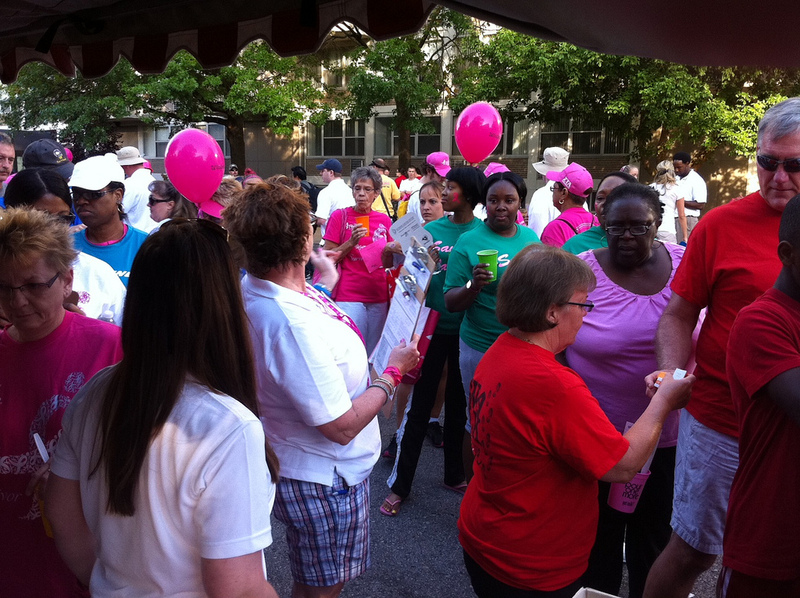 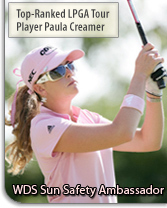 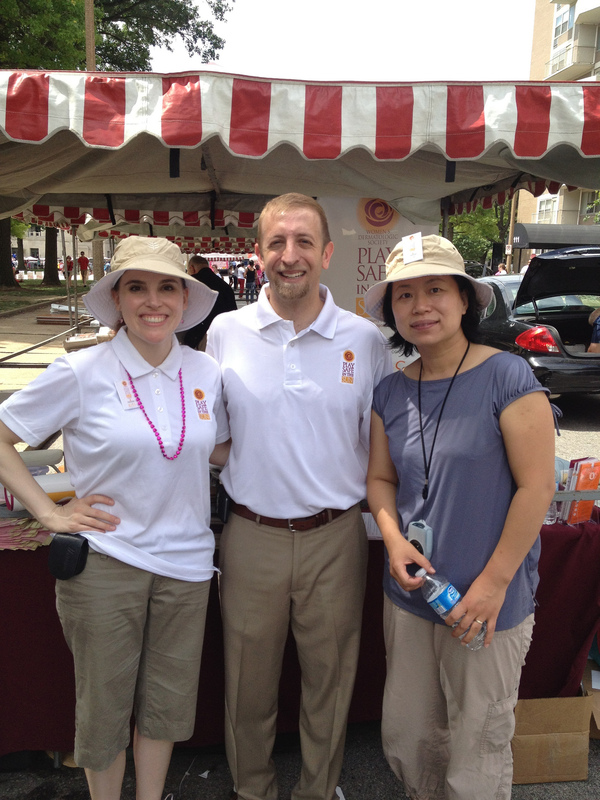 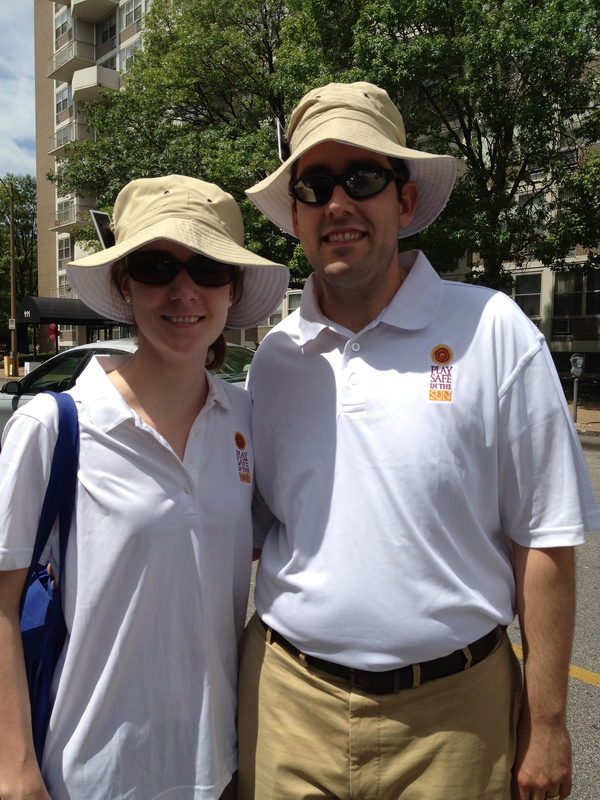 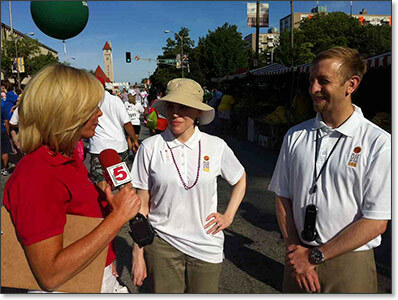 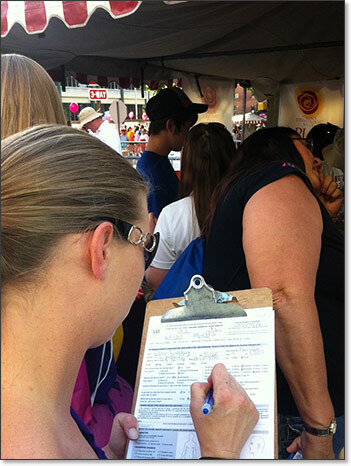 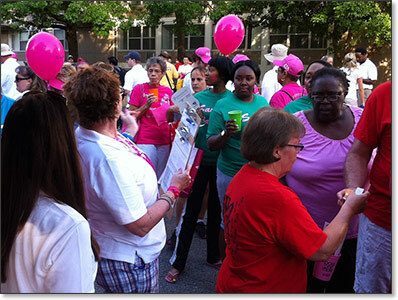 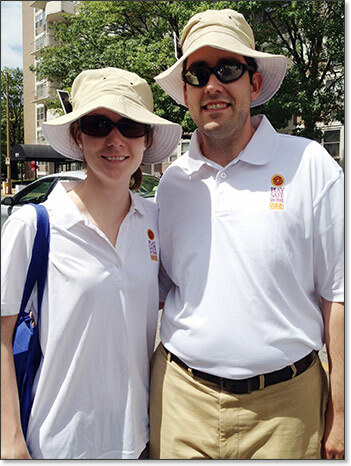 Photos from the Saturday, June 23 2012 event. 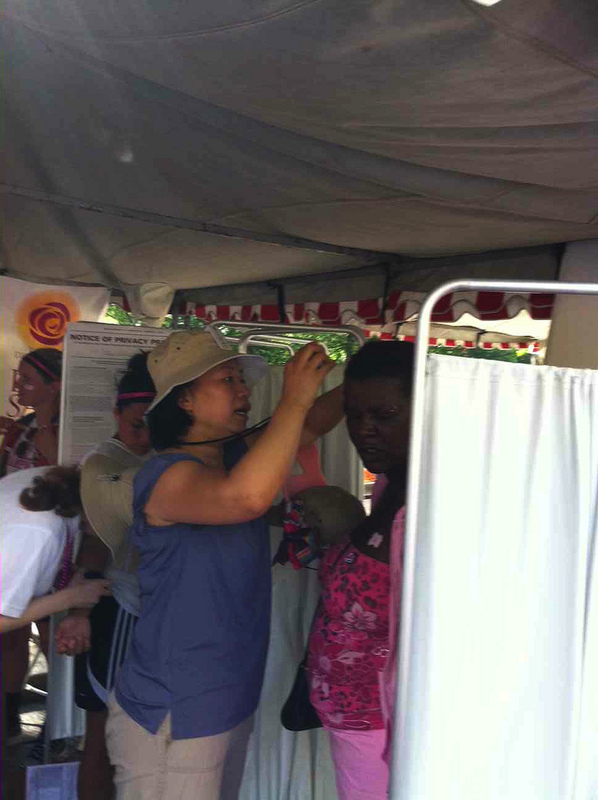 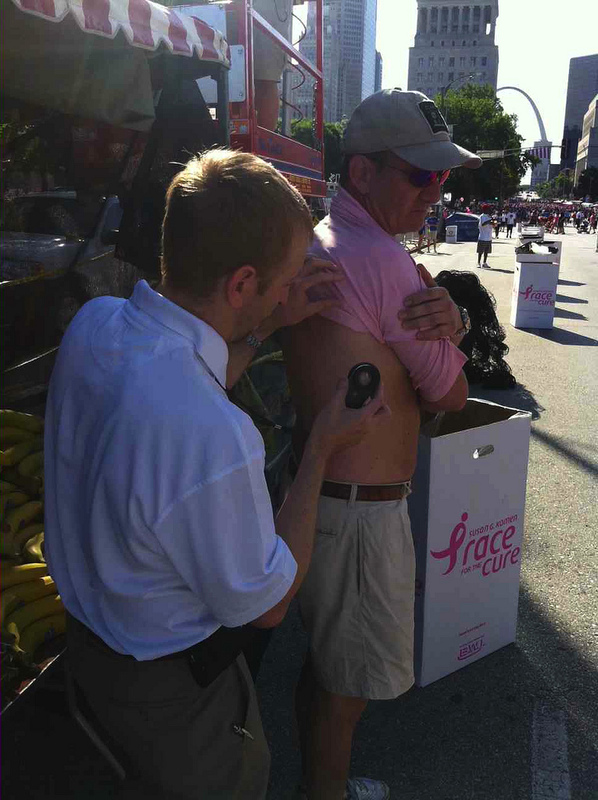 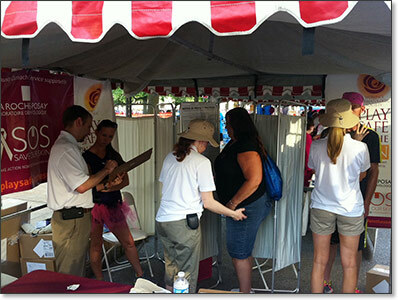 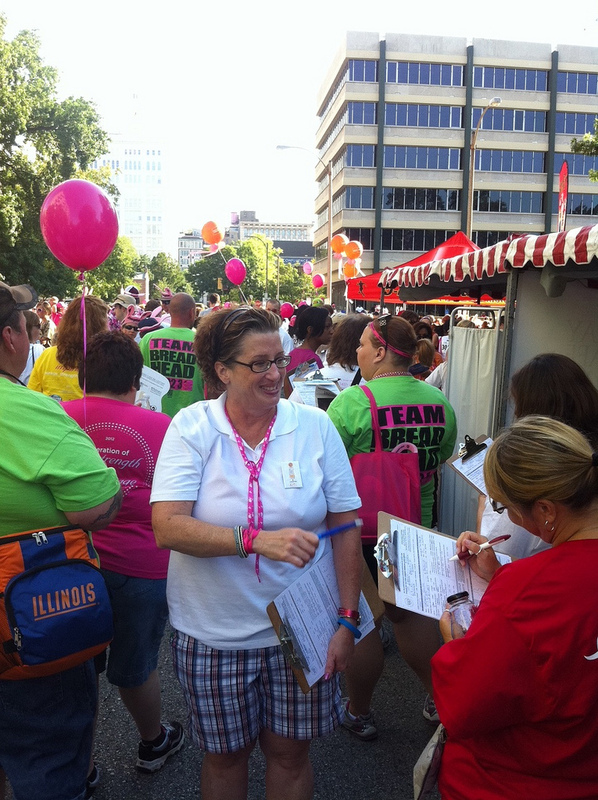 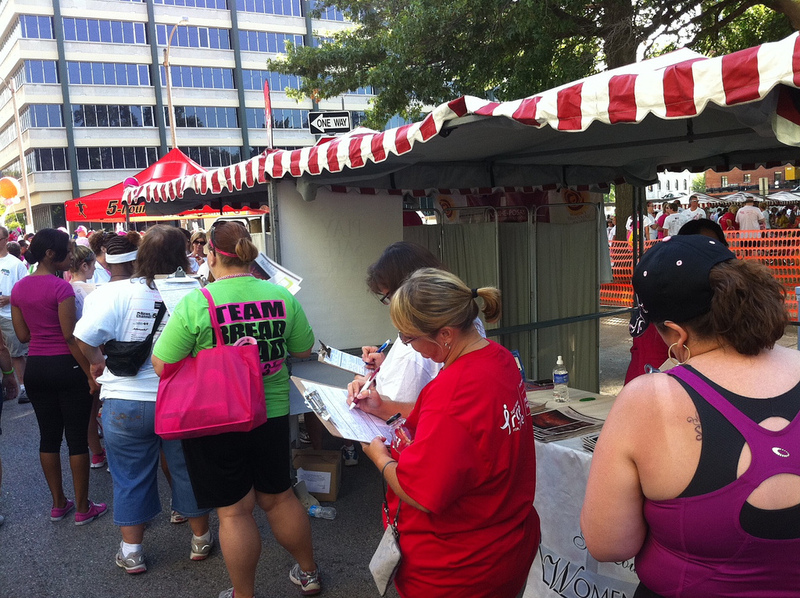 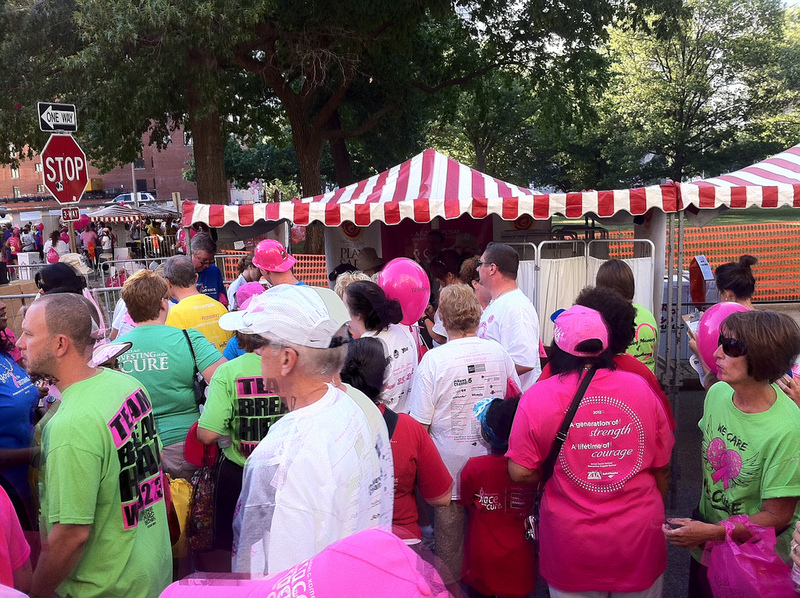 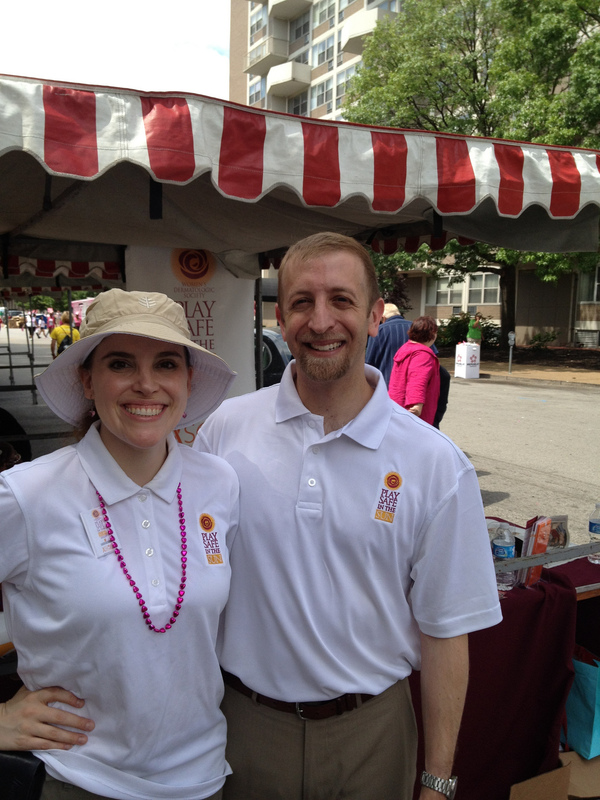 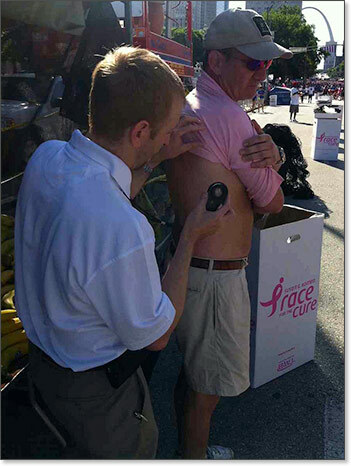 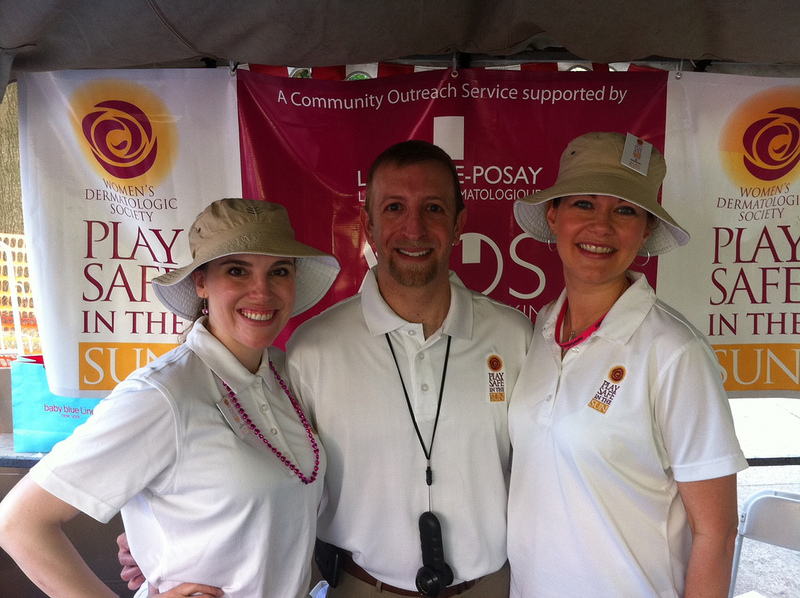 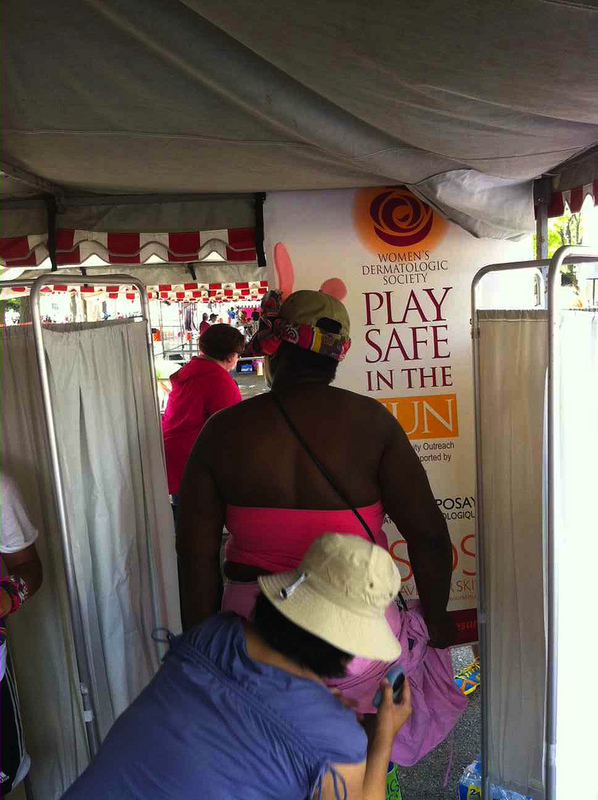 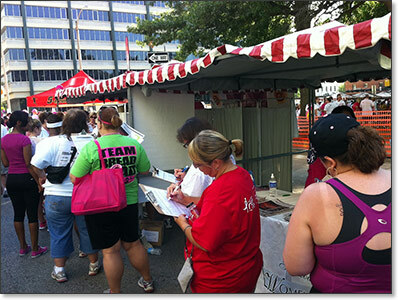 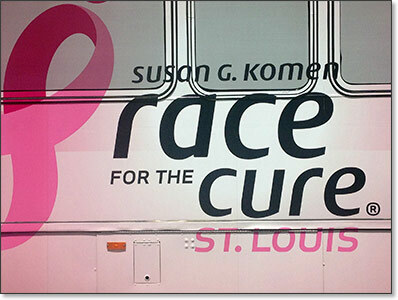 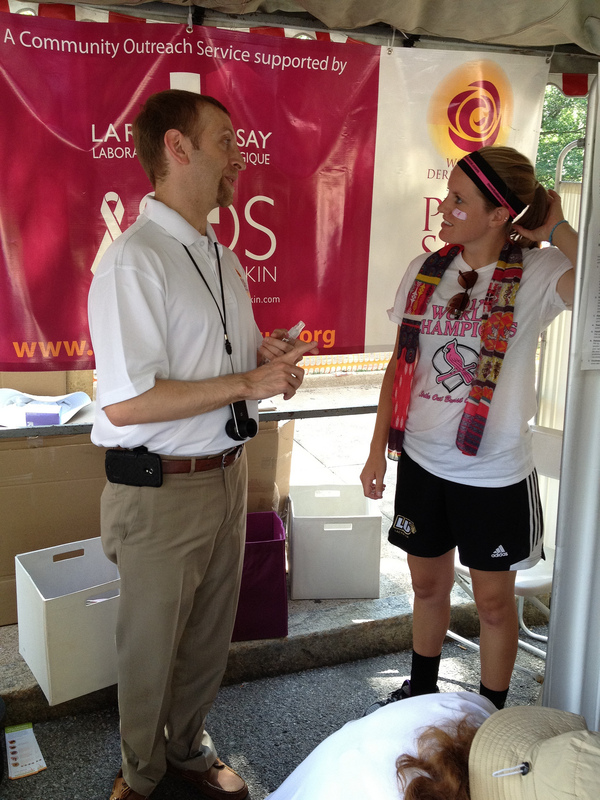 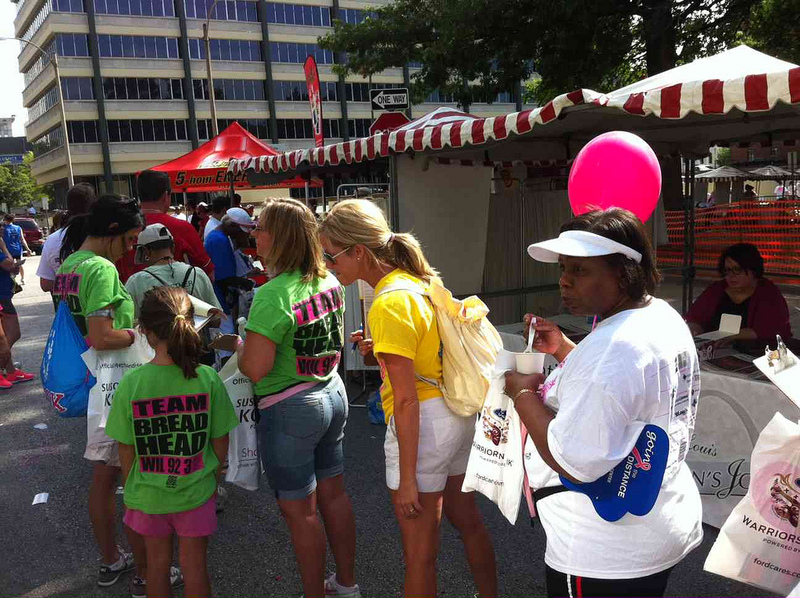 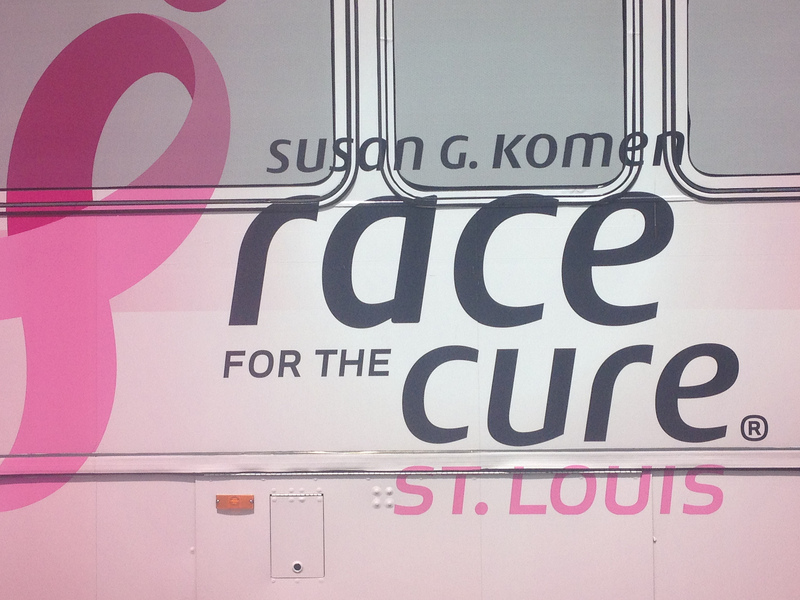 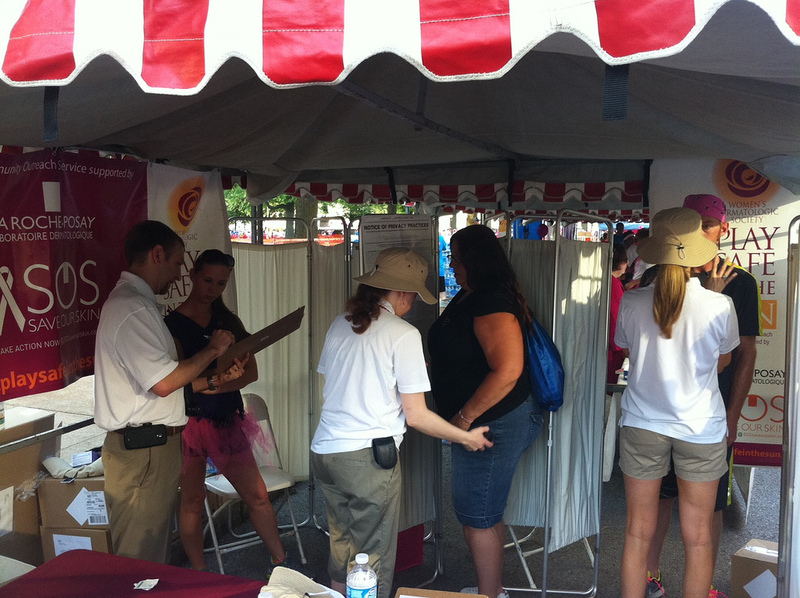 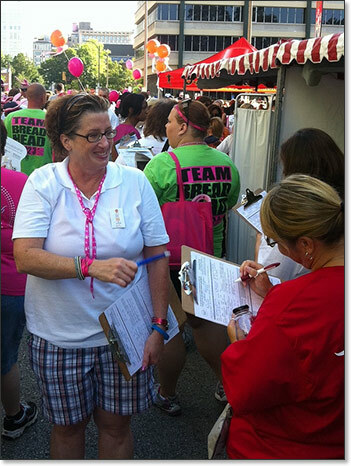 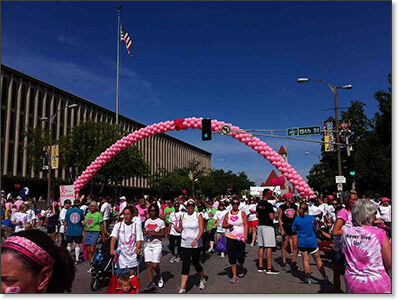 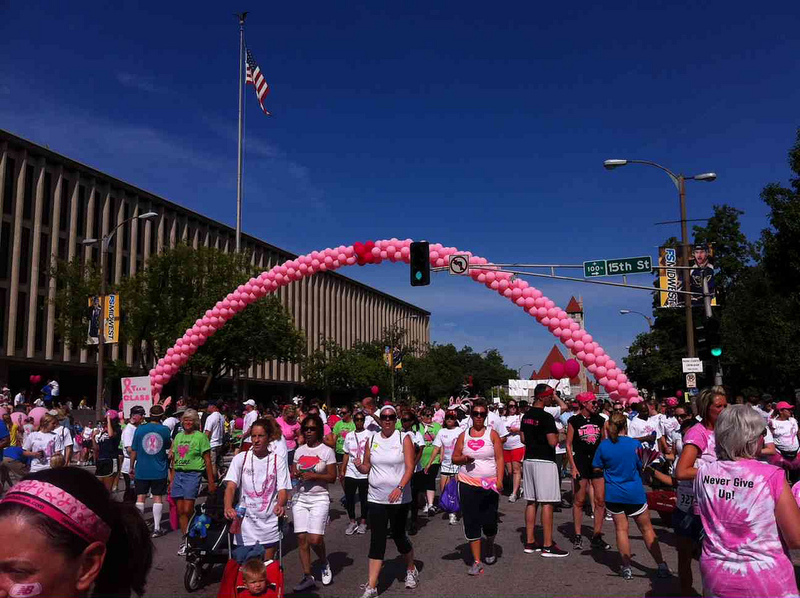 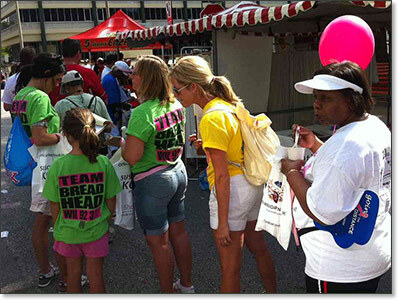 A successful outreach took place at the hugely popular Susan Komen Race for the Cure in downtown St. Louis, one of the largest events of its kind in the world. 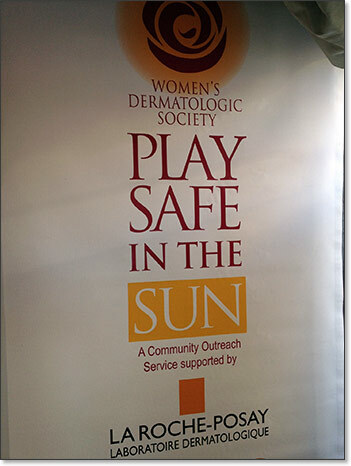 Co-chaired by Drs. 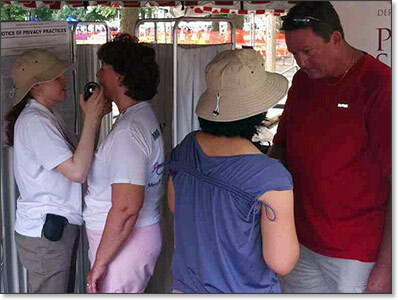 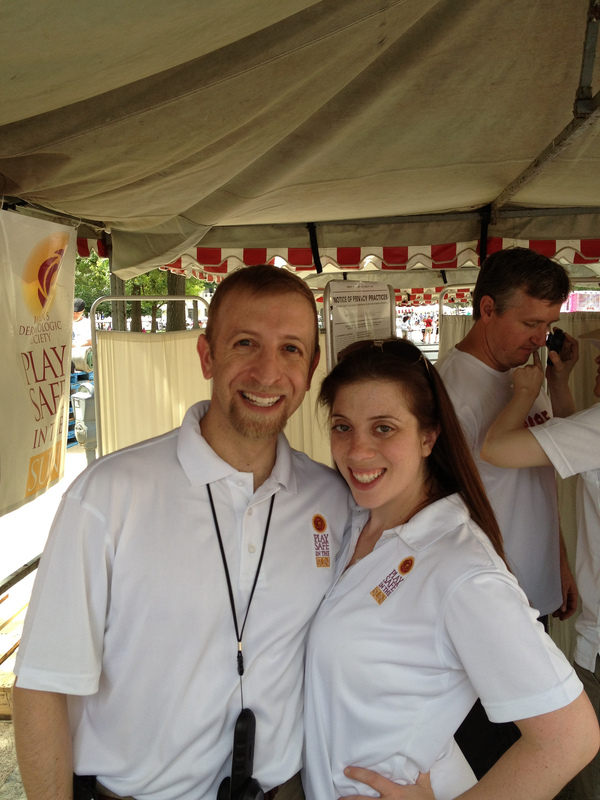 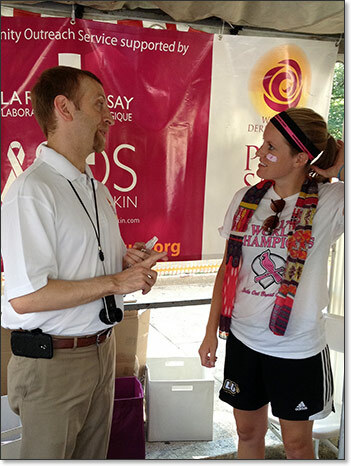 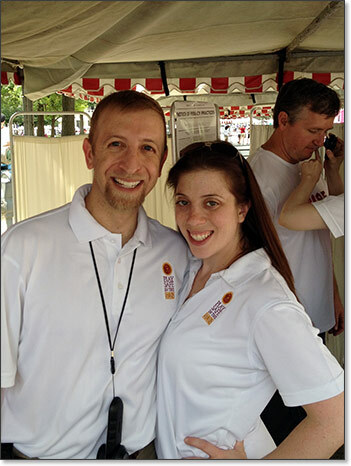 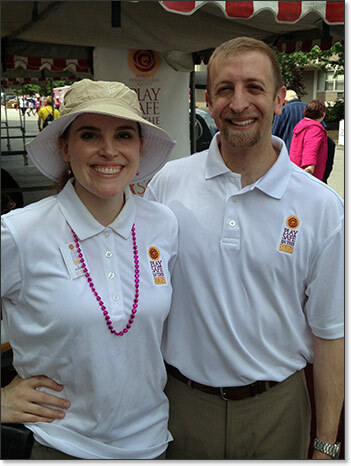 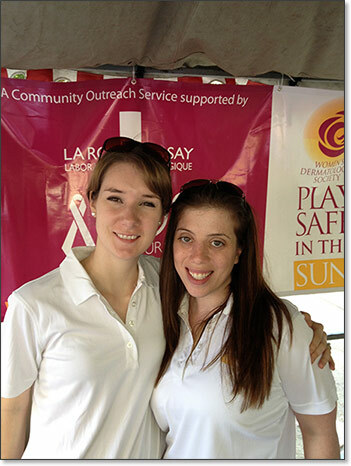 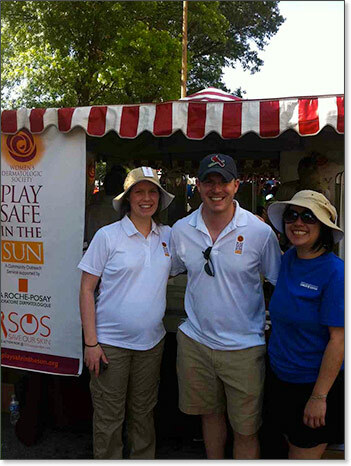 Jordan Slutsky and Michelle Tarbox, this WDS event resulted in 182 screenings. 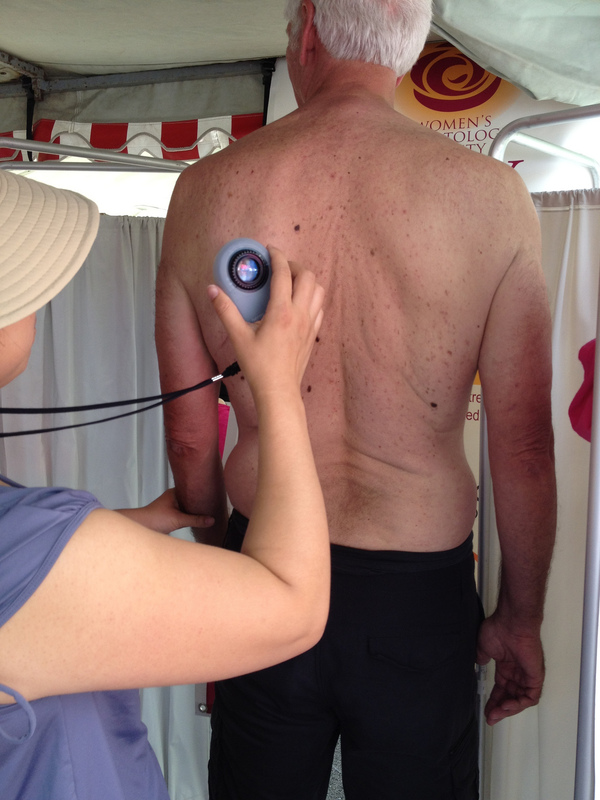 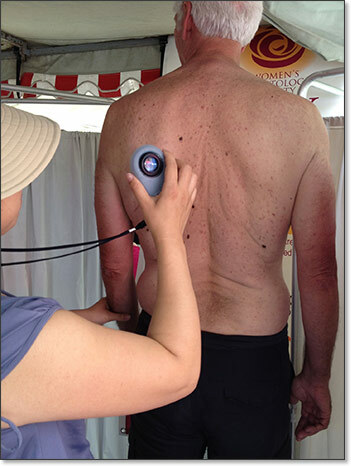 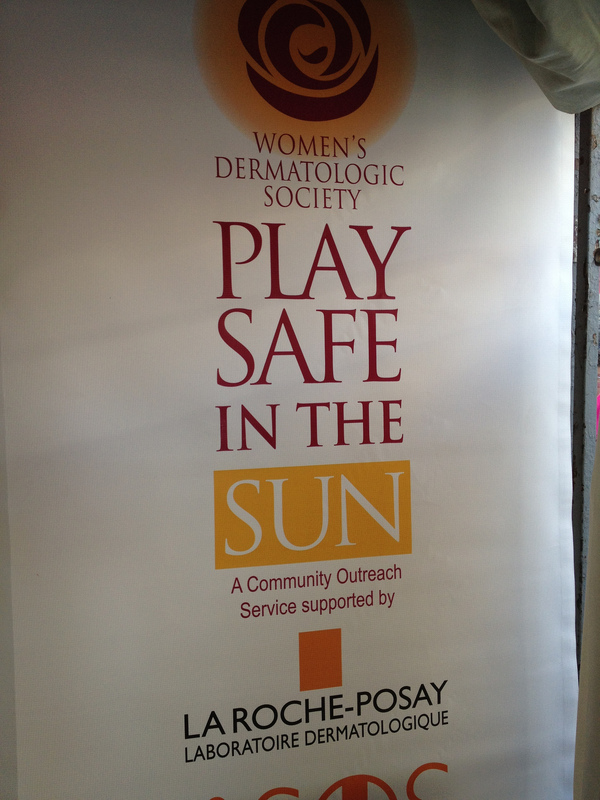 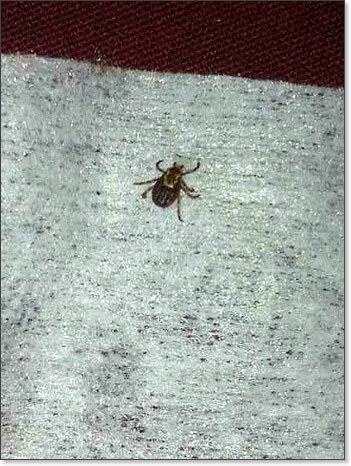 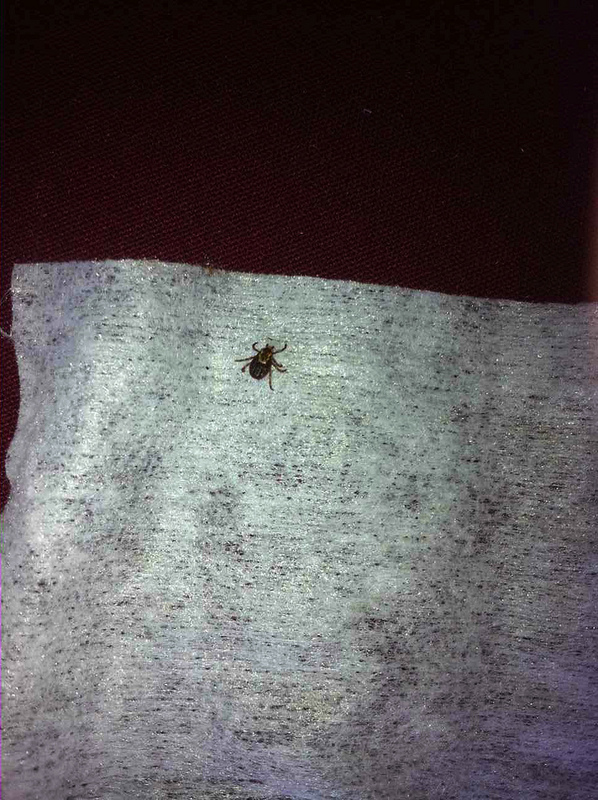 46% of the individuals screened were referred to dermatologists for further diagnosis/biopsy of suspicious sites. 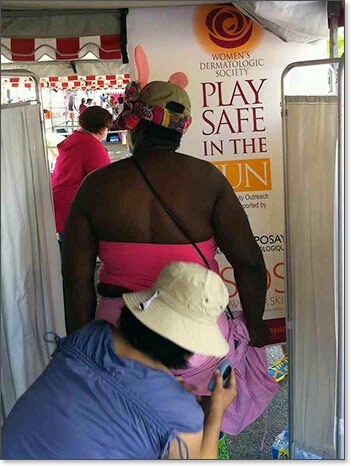 Screening dermatologists from the Saint Louis University Department of Dermatology found 30 suspected cancers, three of which were identified as melanomas. 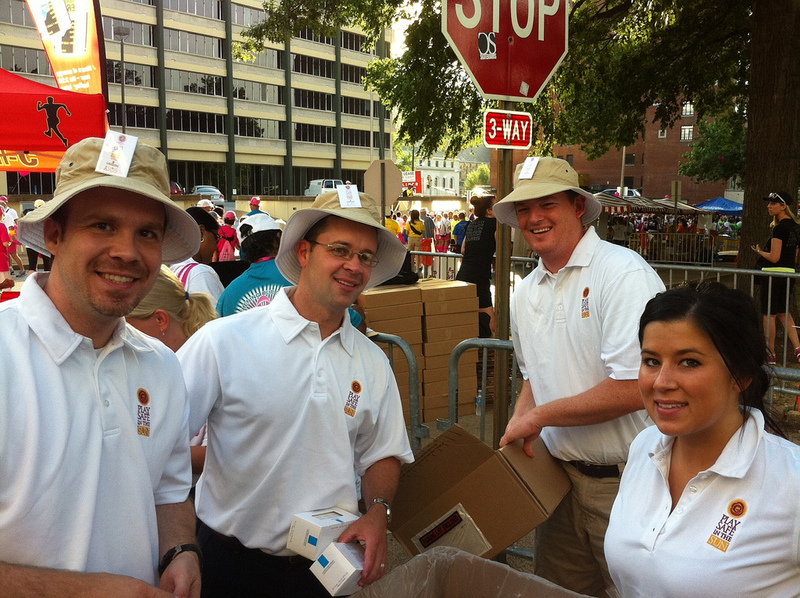 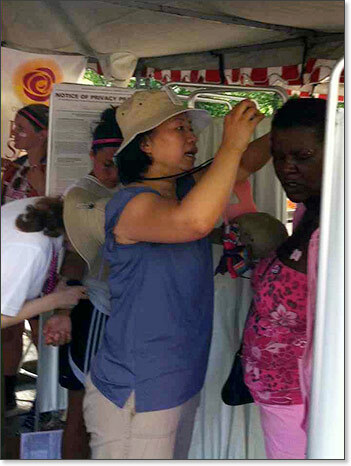 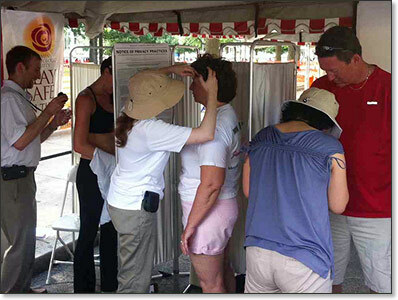 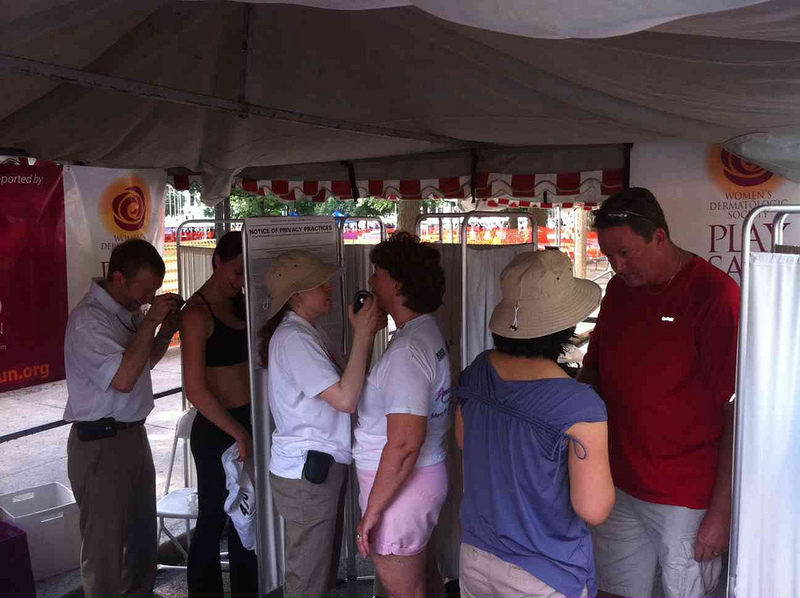 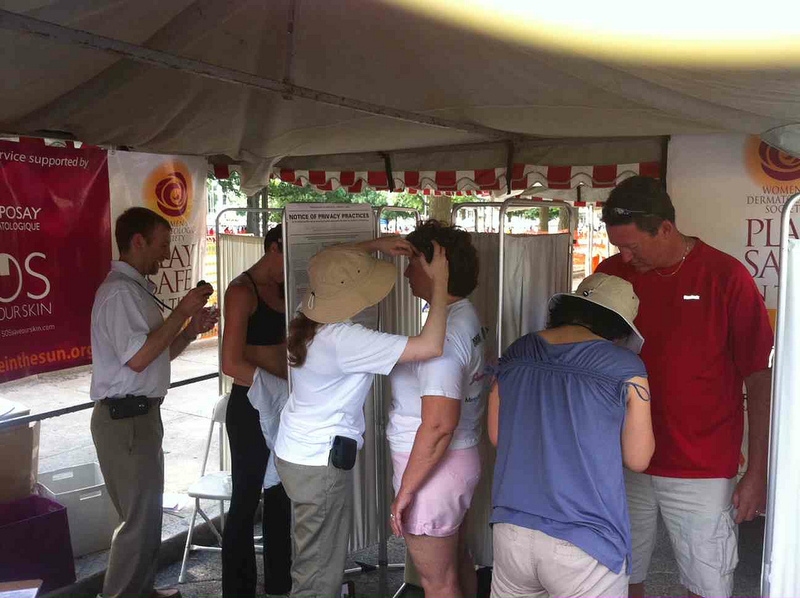 7,500 samples of free sunscreen were given out to very eager crowds who were braving the Midwest heat to participate in this meaningful walk. 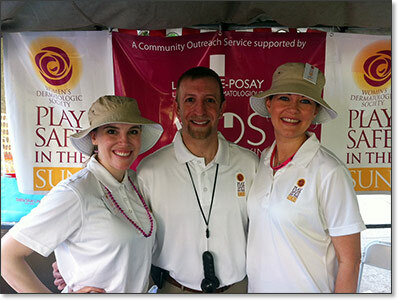 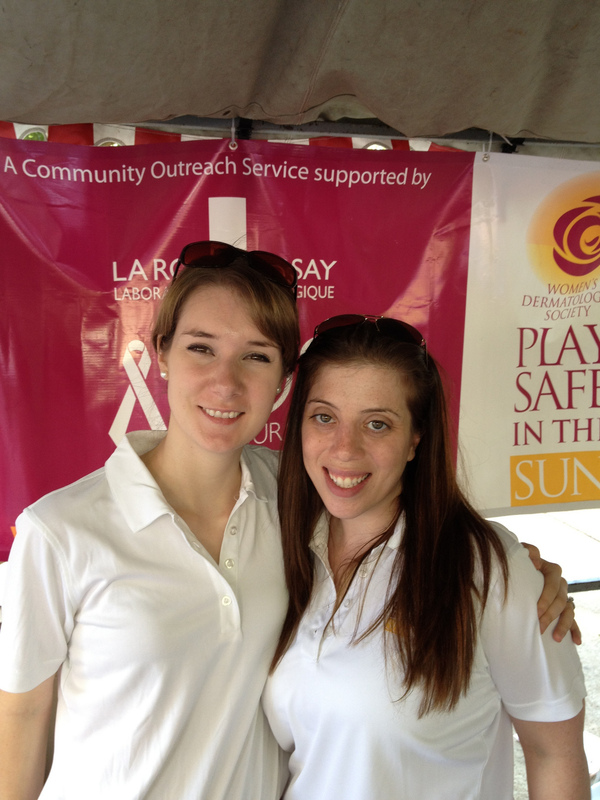 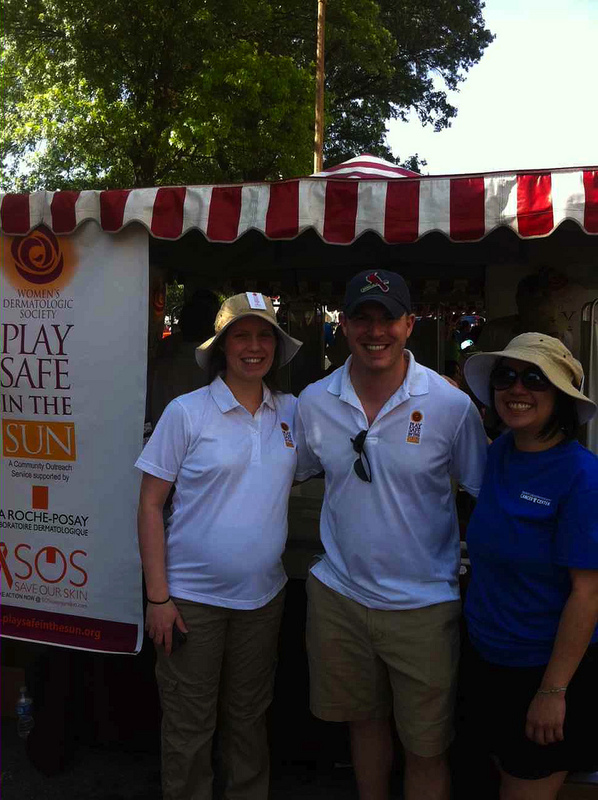 Thank you to all the fantastic volunteers from SLU and from Medicis who participated in this tremendous event and special thanks to our Campaign's sponsor, La Roche-Posay. 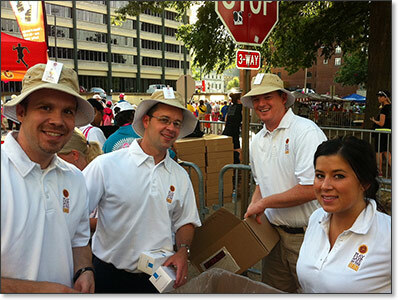 So many lives were touched by this joint effort. 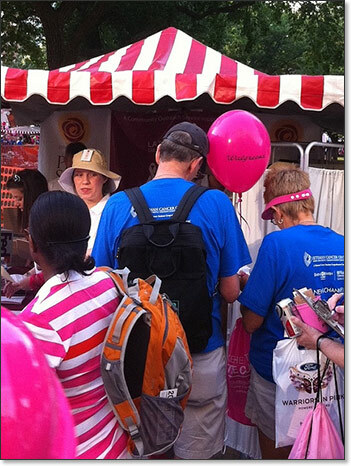 The WDS booth was mobbed all day long! 182 screenings in four hours! 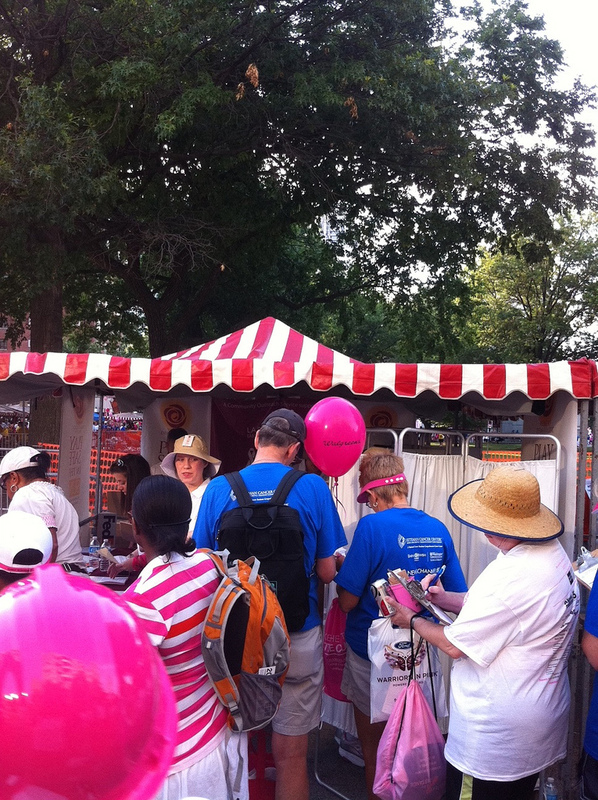 Flocking to the WDS tent in droves!